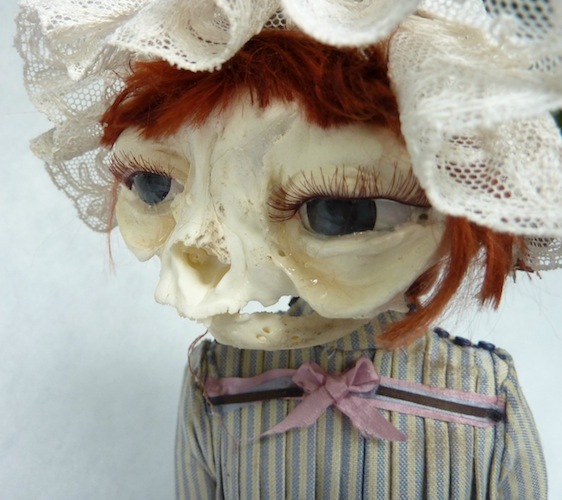 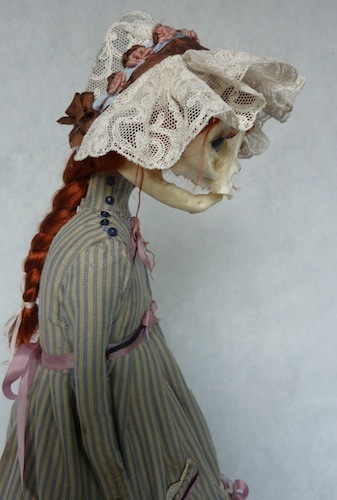 The skull is a real Persian house cat skull with realistic acrylic BJD eyes and lashes. 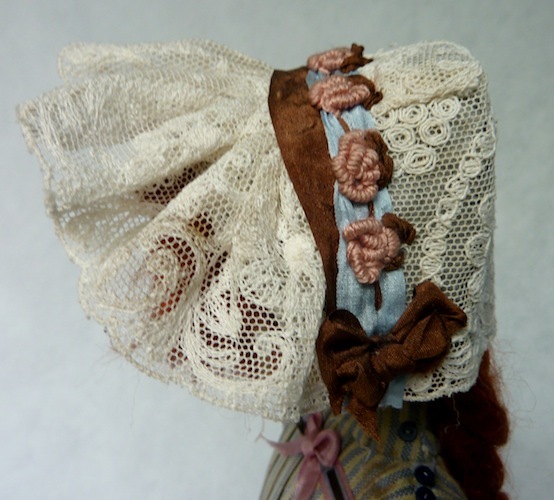 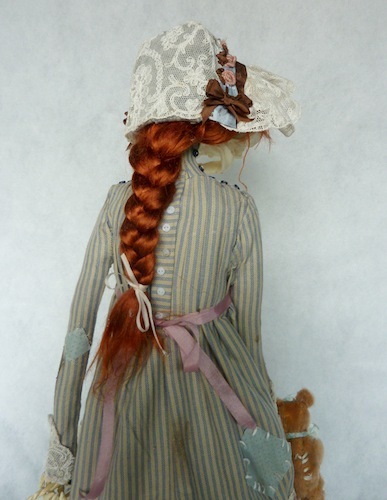 Her hair is made from high quality auburn English viscose, and she is wearing a bonnet made from antique Victorian lace, adorned with silk ribbon and silk embroidered roses. 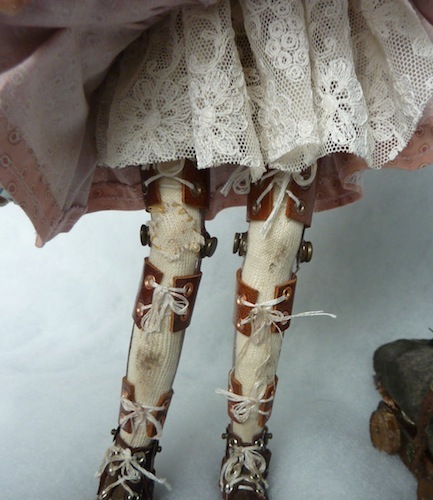 Her body is sculpted with paperclay over a messing rod frame with apoxie for extra strength. 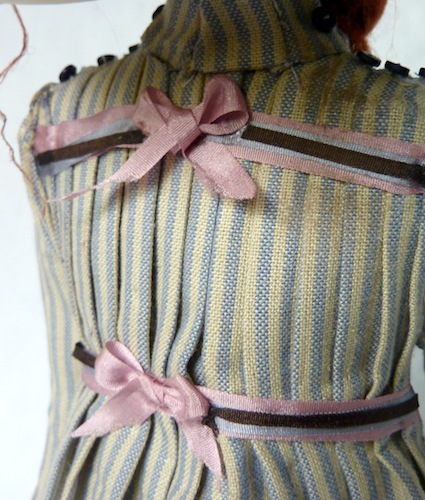 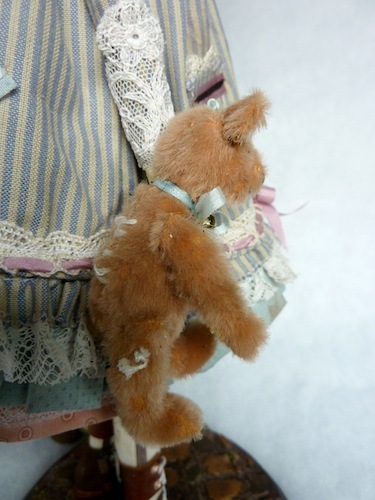 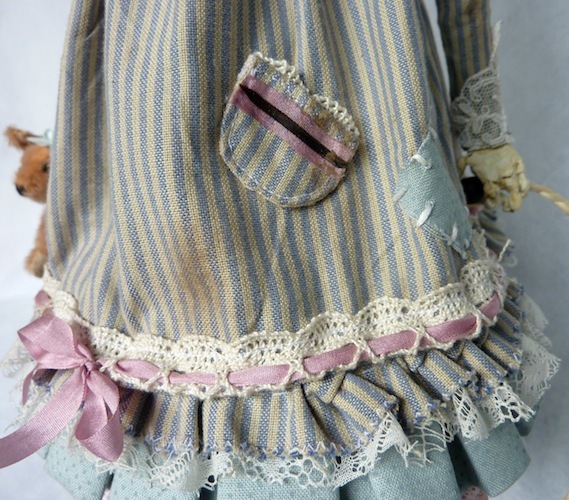 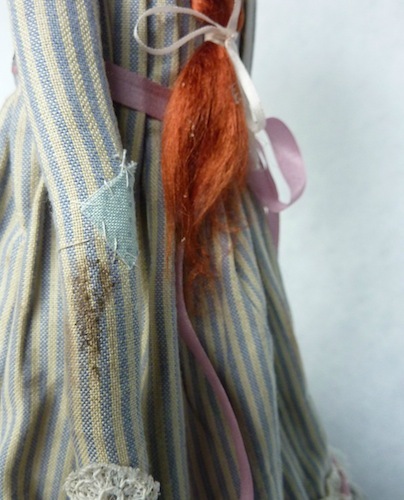 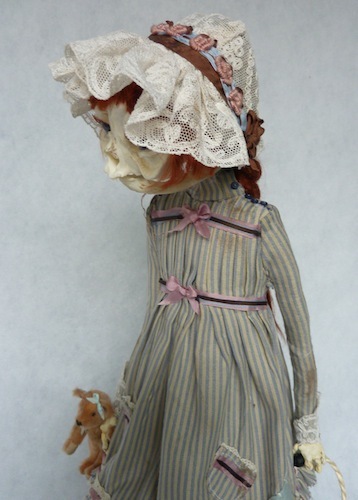 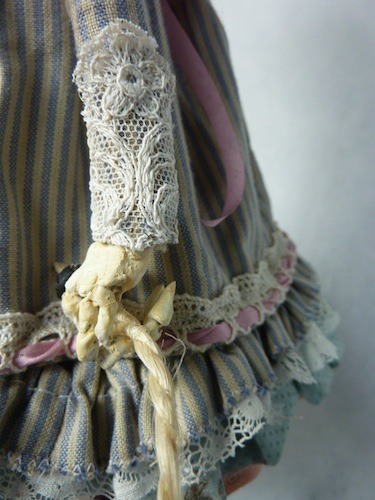 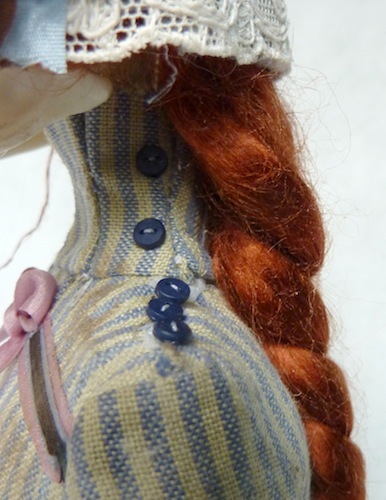 She is dressed in a cotton dress adorned with antique laces from the Victorian era, silk ribbons, and the tiniest buttons. 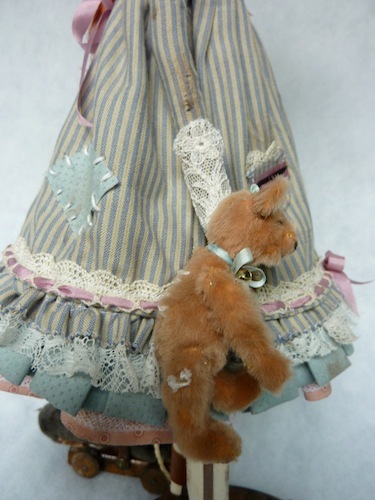 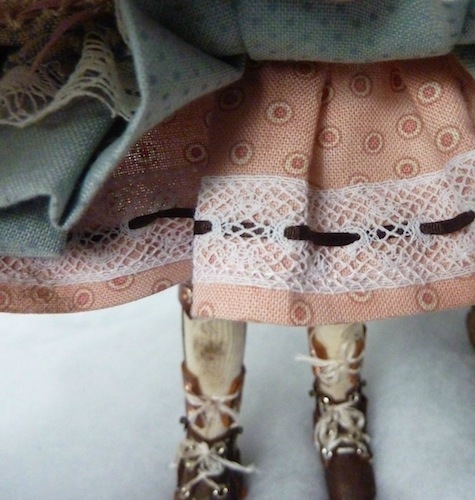 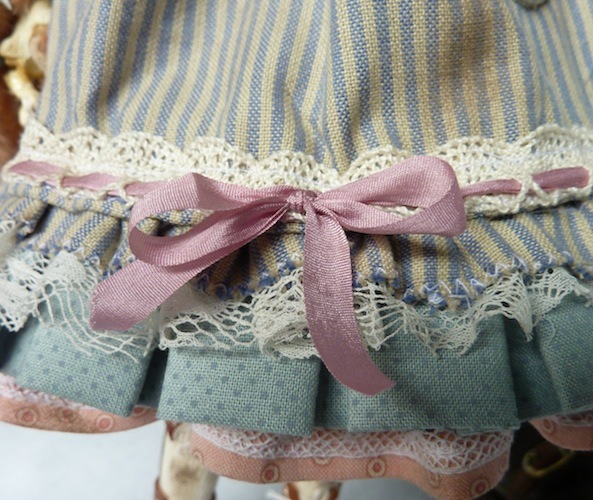 Under her dress she is wearing an underskirt from antique lace and a beautiful skincolored bloomer. 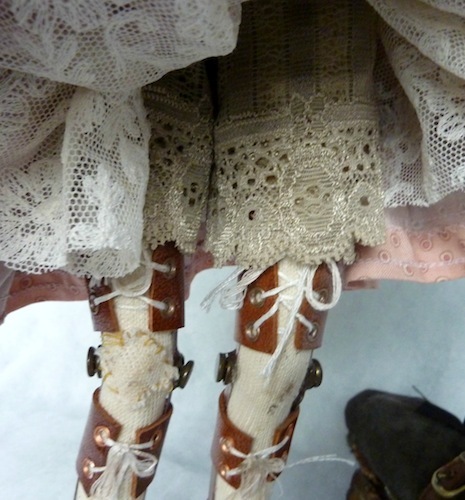 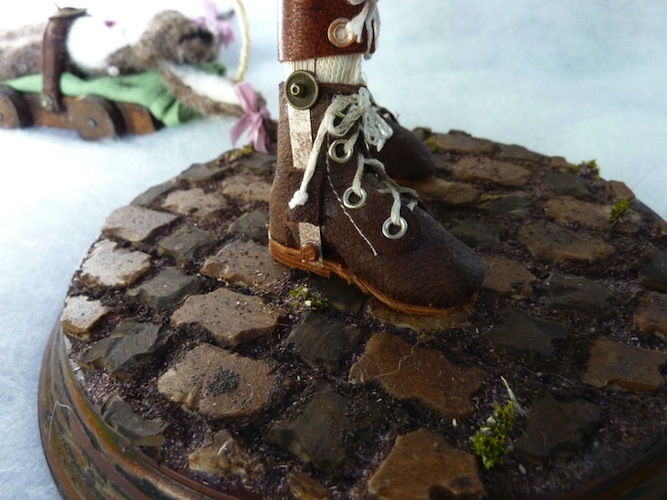 Her legs are covered in cotton stockings, and she is wearing leather and metal polio braces and shoes. 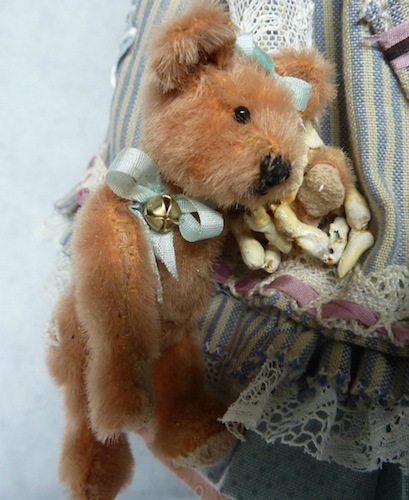 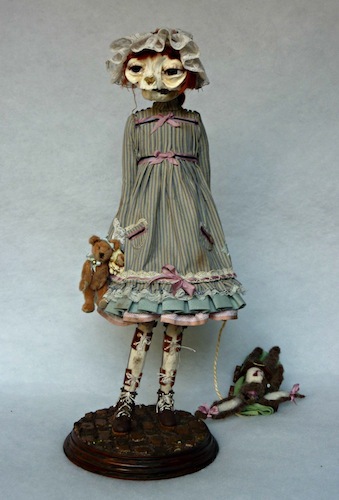 She's holding a 3” handmade teddybear, made to look old and used. 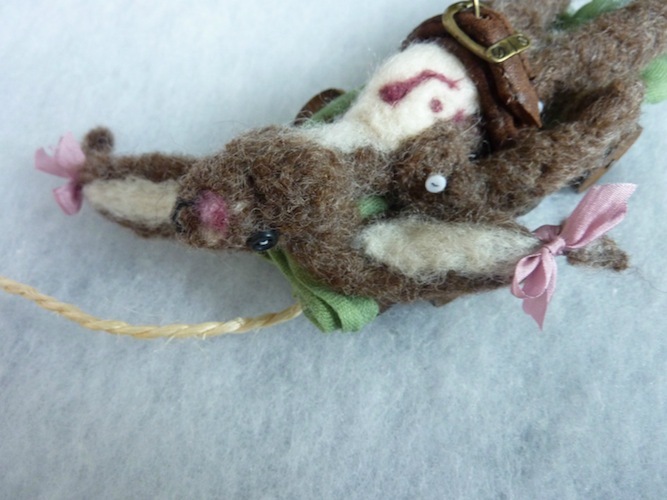 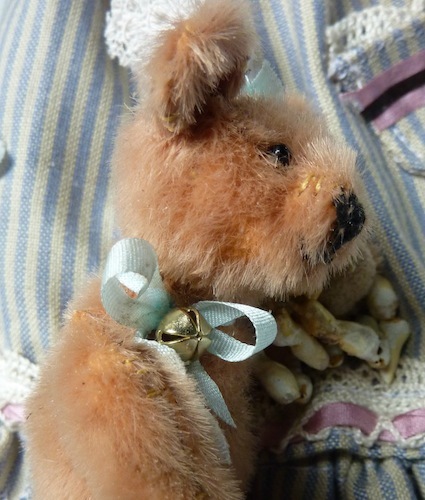 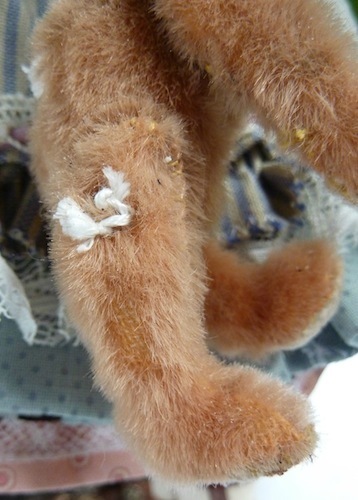 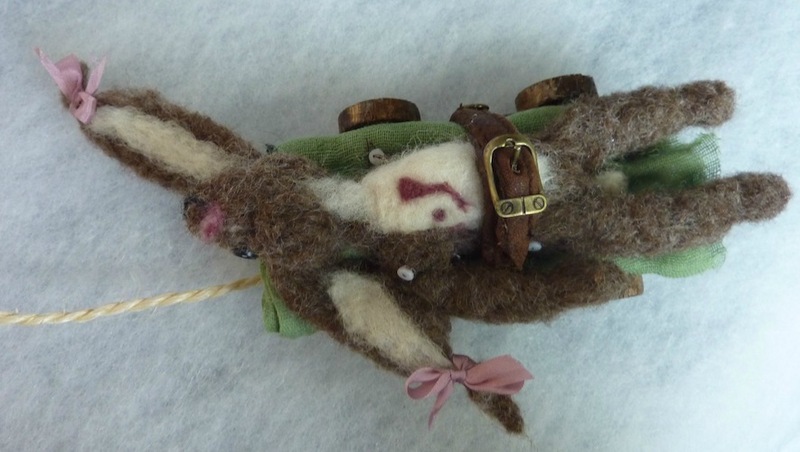 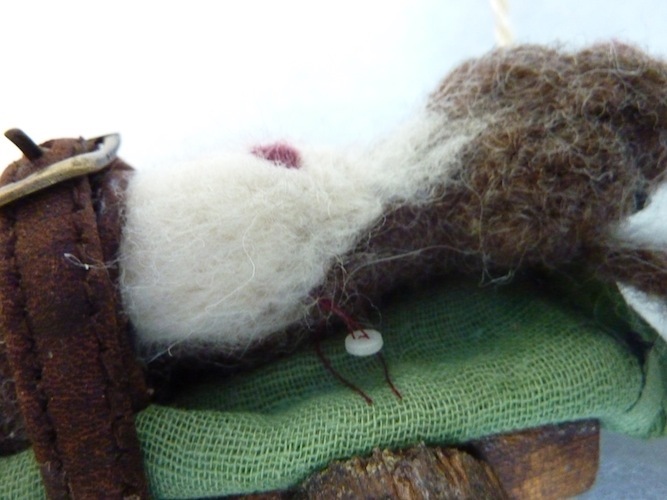 Her 'dead' stuffed needle felted hare is missing one paw. 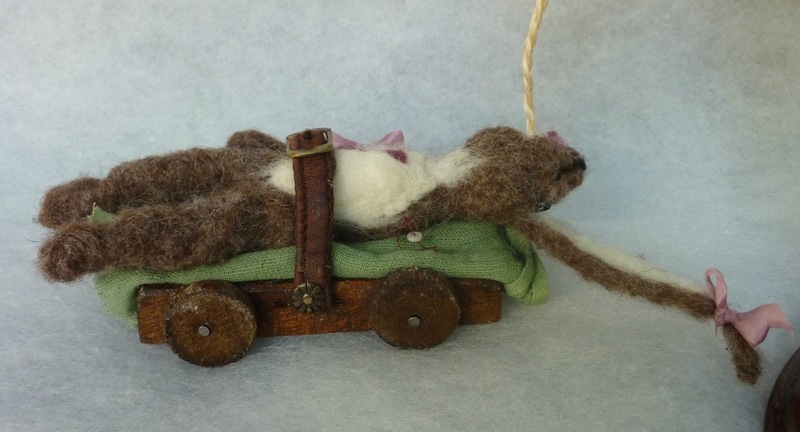 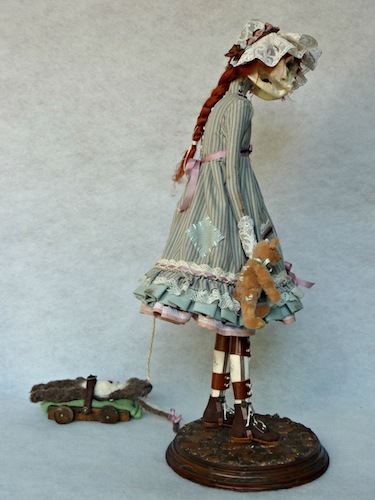 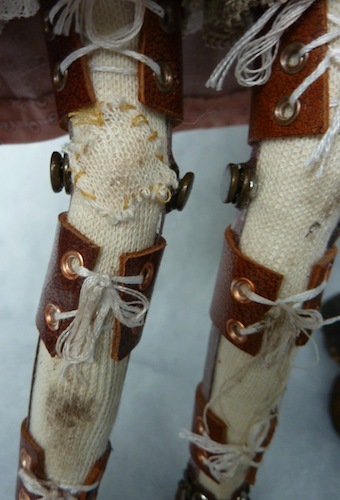 It is tied to the wooden cart she is pulling with a leather belt. 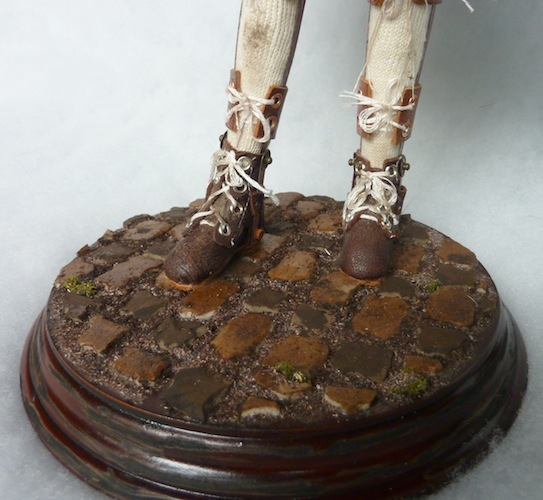 The wooden base is adorned with hand grinded stones and sand, aged with patina. 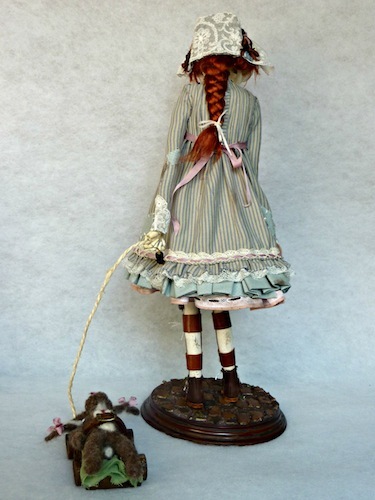 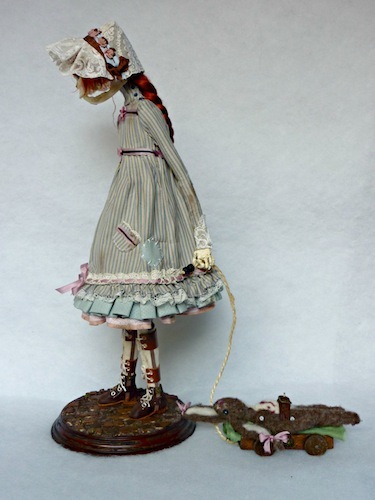 The doll can be removed from her base but is not free standing.